How The Times analyzed public records to identify a systematic weakness at the Los Angeles city border. EDGE CASES: This draft map of LAFD District 57, created by The Times, found slow 911 response times near the city border. It inspired our team to conduct a more thorough data analysis. The Los Angeles Fire De­part­ment rarely reaches across jur­is­dic­tion­al lines for help, res­ult­ing in slower re­sponse times for people who live near the city bor­der, ac­cord­ing to a story pub­lished Sat­urday by The Times. The LAFD re­sponse to med­ic­al calls is slower near the city bor­der, where re­sponses are more likely to run ex­tremely long. There are many calls near the edge of Los Angeles where Los Angeles County Fire De­part­ment sta­tions on the oth­er side of the bor­der are closer to the caller. Des­pite that fact, the county Fire De­part­ment is rarely called upon to cross the bor­der in­to the city. Be­low is a walk­through of how The Times ar­rived at each con­clu­sion. The LAFD main­tains an in­tern­al data­base that logs activ­ity in its 911 dis­patch cen­ter. Known as the CAD data­base, it is one part of an auto­mat­ic dis­patch­ing sys­tem that, at the push of a but­ton, de­term­ines the LAFD units closest to a caller and routes them to the scene. Be­cause the data­base is owned by a pub­lic agency, it is a pub­lic re­cord ac­cord­ing to the Cali­for­nia Pub­lic Re­cords Act. The Times ac­quired it by mak­ing a re­quest un­der that law. The data­base con­tains a set of timestamps for every 911 call handled in the dis­patch cen­ter and every LAFD unit that moves in the field. That in­cludes the time a call is answered, the time units are dis­patched, and the time each unit ar­rives at the scene. Be­cause the LAFD sends help to hun­dreds of calls each day, it adds up to a lot of data. All to­geth­er, the ex­tract of all activ­ity between Jan. 1, 2007, and March 26, 2012, re­leased to The Times fills 42,690,050 rows. You can a read a fuller de­scrip­tion of its struc­ture in this LAFD memo ob­tained by The Times. Be­fore the data could be ana­lyzed, some clean­ing was ne­ces­sary. A flaw in how the LAFD sys­tem op­er­ates causes the data­base to fre­quently mis­rep­res­ent im­port­ant bench­marks, like when units are dis­patched or when the first unit ar­rives on the scene. The cor­rect timestamps do ex­ist in the data­base, but a series of com­puter pro­gram­ming manuevers must to be made to re­cal­cu­late the es­sen­tial num­bers. The Times ana­lys­is was lim­ited to med­ic­al calls for help that opened with a 911 call and res­ul­ted in units be­ing sent to the scene. This ex­cluded calls that came in via oth­er routes, like fire alarms, and those that nev­er res­ul­ted in a res­cuer be­ing dis­patched. The Times also ex­cluded out­liers where the data were non­sensic­al, like when the dis­patch time was re­cor­ded as hav­ing happened in few­er than zero seconds. Also ex­cluded were out­liers in which bench­marks were so far apart they sug­gest the data may be faulty, like re­cords show­ing the dis­patch cen­ter took more than 10 minutes to send help or that the first unit took more than 30 minutes to ar­rive. Earli­er this year, The Times used this same meth­od to ana­lyze how long, on av­er­age, it takes LAFD dis­patch­ers to pro­cess a call and send help. The res­ult­ing story re­por­ted that the de­part­ment lags well be­hind na­tion­al stand­ards and it linked slow times to sev­er­al deaths. The LAFD did not dis­pute those stat­ist­ics, and they were later con­firmed in­de­pend­ently in a sep­ar­ate study con­duc­ted by pro­fes­sion­al aud­it­ors at the Los Angeles city con­trol­ler’s of­fice. Each 911 re­sponse in the LAFD data­base in­cludes the ad­dress where units were sent. For this ana­lys­is, The Times used a com­pu­ter­ized tech­nique to at­tempt to con­vert each ad­dress in­to a pair of lat­it­ude and lon­git­ude co­ordin­ates that could be placed on a map. The Times was able to map 98.3% of the 442,338 dis­tinct ad­dresses that oc­curred in the LAFD data­base. Among those left un­mapped, and there­fore ex­cluded from this ana­lys­is, were 911 calls that sent help to Los Angeles free­ways. Those loc­a­tions could not be mapped be­cause they were re­cor­ded in LAFD jar­gon that The Times was un­able to de­code. 911 callers with­in a quarter mile of the city bor­der are nearly 50% more likely to wait more than 10 minutes for res­cue crews to ar­rive. This com­par­is­on re­quired The Times to cal­cu­late two num­bers. First, the per­cent­age of all LAFD re­sponses that took longer than 10 minutes, which is well bey­ond the form­al na­tion­al stand­ard and a rough bench­mark for slow re­sponses used by people in the field who were in­ter­viewed by The Times. Us­ing the full set of med­ic­al calls from the sample de­scribed above, The Times found that roughly 10% of LAFD re­sponses took longer than 10 minutes from the mo­ment a dis­patch­er picks up the line un­til the first unit ar­rives on the scene. Second, The Times cal­cu­lated that same fig­ure for the sub­set of med­ic­al calls made from ad­dresses with­in a quarter mile of the city’s jagged bor­der, which were iden­ti­fied by us­ing geo­spa­tial soft­ware. In those areas, ap­prox­im­ately 15% of re­sponses took longer than 10 minutes. Fif­teen is 50% more than 10, so a re­sponse to an ad­dress with­in a quarter mile of the bor­der is 50% more likely to take longer than 10 minutes. In more than 70,000 med­ic­al calls, LAFD sent res­cuers to loc­a­tions where county fire­houses were closer, the ana­lys­is found. More than 1,300 of those cases were car­di­ac ar­rests, where delays of seconds can be crit­ic­al be­cause ir­re­vers­ible brain dam­age can be­gin just four minutes after the heart stops beat­ing. This was es­tab­lished by map­ping the loc­a­tion of all LAFD and county fire­houses and then con­duct­ing a geo­graph­ic ana­lys­is that, one by one, ex­amined each re­sponse in the LAFD’s dis­patch data­base to de­term­ine the sta­tion closest to each caller. In total, 73,836 ad­dresses need­ing a med­ic­al re­sponse were found to have a county sta­tion closer than the LAFD fire­houses that re­spon­ded. The LAFD’s data­base cat­egor­izes each med­ic­al in­cid­ent, sort­ing out strokes, car ac­ci­dents and oth­er types. Car­di­ac ar­rests are one of the most time-sens­it­ive cat­egor­ies. The 73,836 calls iden­ti­fied above were fur­ther filtered down to just the sub­set of car­di­ac ar­rests, as defined by LAFD dis­patch­ers. That yiel­ded a total of 1,399, the num­ber cited in the story. Over the last five years, when county fire sta­tions were closer, LAFD dis­patch­ers called county res­cuers in less than 10% of emer­gency med­ic­al cases, ac­cord­ing to the Times ana­lys­is, which in­cluded both agen­cies’ dis­patch re­cords. This was es­tab­lished by ex­amin­ing data from a dif­fer­ent source: the Los Angeles County Fire De­part­ment. The LAFD does call in the county Fire De­part­ment for help in some cases, and the county keeps a log of every run. Just like the LAFD’s dis­patch data­base, the county’s sys­tems are also a pub­lic re­cord. So, The Times ac­quired the com­plete list of more than 11,000 county re­sponses in­to city ter­rit­ory dur­ing the same five-year peri­od as the data­base ex­tract re­leased by the LAFD. Be­cause the city and county call cen­ters use dif­fer­ent com­puter sys­tems, it is dif­fi­cult to con­duct a thor­ough ana­lys­is of how the two de­part­ments in­ter­act. There is no com­mon iden­ti­fi­er link­ing in­di­vidu­al re­sponses, and each side uses a dif­fer­ent sys­tem for cat­egor­iz­ing in­cid­ents. Plus, ac­cord­ing to county Bat­talion Chief Jon O’Bri­en, many of the county re­sponses in Los Angeles are on city beaches where county life­guards hold primary re­spons­ib­lity, un­like med­ic­al 911 calls, where LAFD has jur­is­dic­tion. The Times was able to ex­clude more than 4,800 beach re­sponses from the county list by map­ping those in­cid­ents in the same man­ner as LAFD re­cords and then fil­ter­ing out those that took place on beaches. Few­er than 7,000 county re­sponses re­mained, which is less than 10% of the 73,836 city in­cid­ents The Times iden­ti­fied as hav­ing a county sta­tion closer than the LAFD fire­houses that sent help. That is the source of the fig­ure cited above. This ana­lys­is would not have been pos­sible without the help of a num­ber of know­ledgable sources both in­side and out­side of loc­al gov­ern­ment. It was also de­pend­ent on Cali­for­nia’s ex­cel­lent pub­lic re­cords law. Fi­nally, there is no way a hack like me could have ac­com­plished it without stu­pendous open-source soft­ware tools like Post­GIS and GeoD­jango. 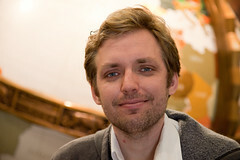 Ben Welsh made this post on Oct. 20, 2012 at 5:22 p.m. Ben has been a data­base pro­du­cer at The Times since 2007. He de­vel­ops news ap­plic­a­tions for latimes.com and con­ducts ana­lys­is for re­port­ing pro­jects. He lives in down­town Los Angeles but grew up in Swish­er, Iowa.